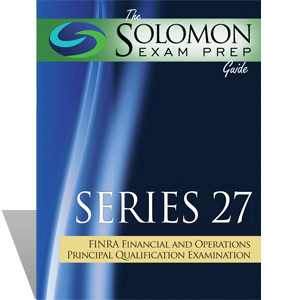 Solomon Exam Prep, the leader in securities exam preparation, has released unredacted Video Lectures for the FINRA Series 27 (Financial and Operations Principal) and Series 28 (Introducing Broker-Dealer Financial and Operations Principal) exams. The Series 27 and the Series 28 are required by FINRA for individuals who prepare and maintain the books and records of a securities firm. 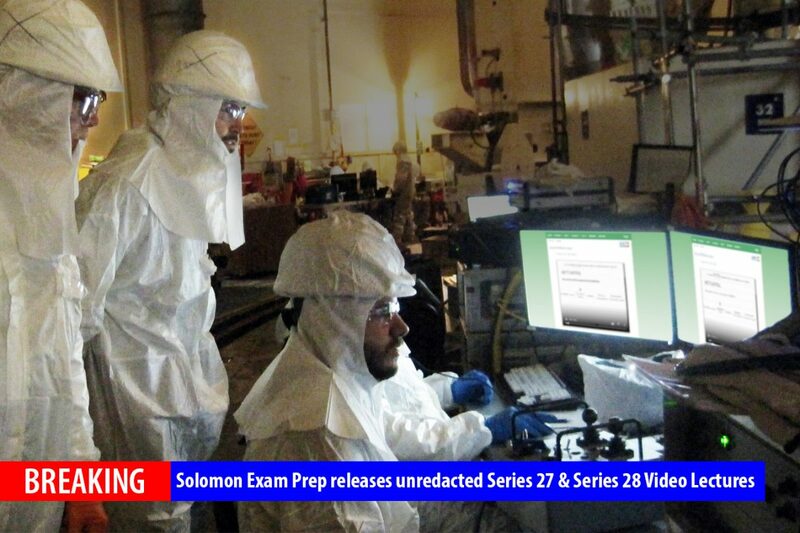 Studying for the Series 27 and Series 28 exams is hard enough, according to Jeremy Solomon, president of Solomon. 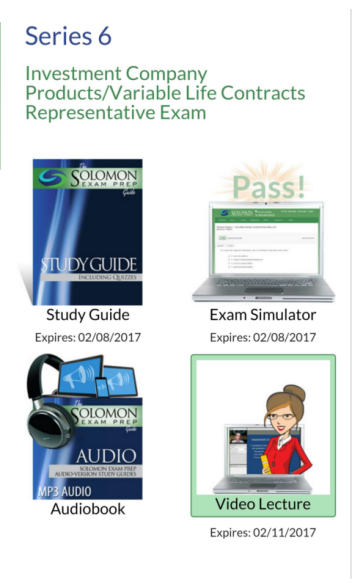 The exams cover such topics as financial reporting, regulatory filing and notifications, clearance, settlement and delivery, net capital requirements of brokers and dealers, calculating aggregate indebtedness, margin deficits, haircut charges, balancing purchase and sale statements, aging and collateralization of receivables, and much more. 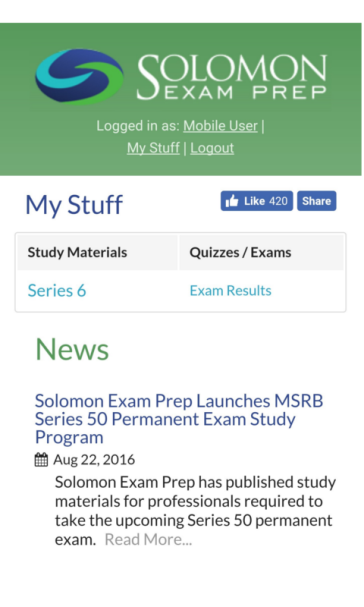 “If we redacted our Video Lectures it would be very difficult for students to understand — and they might not pass,” says Jeremy Solomon, president of Solomon Exam Prep. 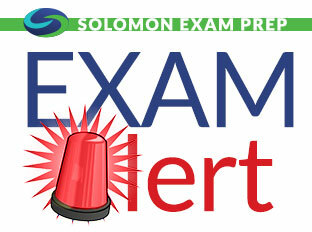 Fortunately, Solomon Exam Prep has never redacted its study materials and, as a result, Solomon has helped thousands pass FINRA, NASAA and MSRB securities licensing exams including the SIE and the Series 3, 6, 7, 14, 24, 26, 27, 28, 50, 51, 52, 53, 54, 63, 65, 66, 79, 82 and 99. 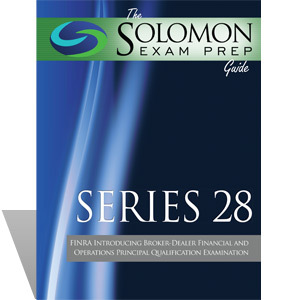 Click here to purchase Series 27 and Series 28 materials. 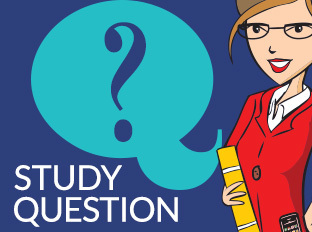 Congratulations to Shira K., this month’s Study Question of the Month winner! 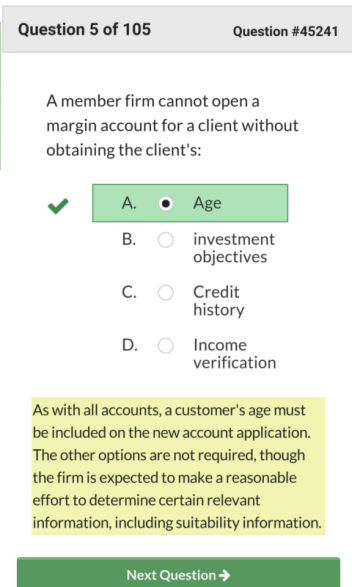 Answer: D. The 20-year net long and 5-year net short positions each belong to a different Treasury category for purposes of calculating net capital. The haircut for Treasury and agency securities is the sum of the haircuts from each category.